at Google Play and Apple Store. We would like to welcome you to the 2017 Banff-Catalan Transplantation Society joint scientific meeting. This meeting represents a great opportunity to share and learn of several relevant aspects related to organ transplantation including antibody mediated rejection, telepathology and big data in transplant pathology, biomarkers and tolerance, key issues in clinical trials, regeneration vs repair, new technologies in allograft pathology, omics in transplantation, immunosupression and personalized medicine, donation and clinical advances in major transplants between others. Organ transplantation today represents first line therapy for organ failure and this meeting will help us to refine our knowledge of basic and clinical science that means one better future for our patients. The issues that will be discussed in this meeting represent the transplant medicine of tomorrow. This joint meeting also represents one big opportunity for both societies to share experiences and knowledge in the field of transplantation. The Banff Foundation hold one joint meeting with the Canadian transplantation Society two years ago with excellent interaction between both societies. After this first experience, the Banff Foundation contacted to the Catalan Transplantation Society and both societies decided to hold this joint meeting. This project was understood as one good opportunity for both societies. For one hand, Banff meetings have been references worldwide in organ transplantation pathology and other related basic aspects of transplant science. In the other hand, Catalonia is one of the more active places regarding organ transplantation with remarkable contribution to the general knowledge in the field of transplantation. 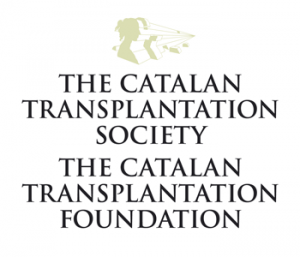 Also, the Catalan Transplantation Society has one long tradition in continuous medical education on the field of transplantation towards periodic meetings and sessions. We are convinced that this mix will be productive for all of you and for both Societies. We would like to thank to the Universitat de Barcelona for allowing us to use this building for our meeting. It is one no well known treasure of Barcelona. As well, we would like to sincerely thank to the pharmaceutical industry for the economic support and special effort that they have dedicated to this Meeting. Finally, we invite you to enjoy the city, the university building and the organized social event. We are convinced that the location of the meeting down town will bring you the opportunity to enjoy the city. We are sure that you will discover one new face of the city. It is early spring with very mild temperature and good weather. This is one excellent opportunity to enjoy a walk down town or other very simple and pleasant activities. Welcome and enjoy. Chair of the Banff Foundation Antonio Román, M.D.